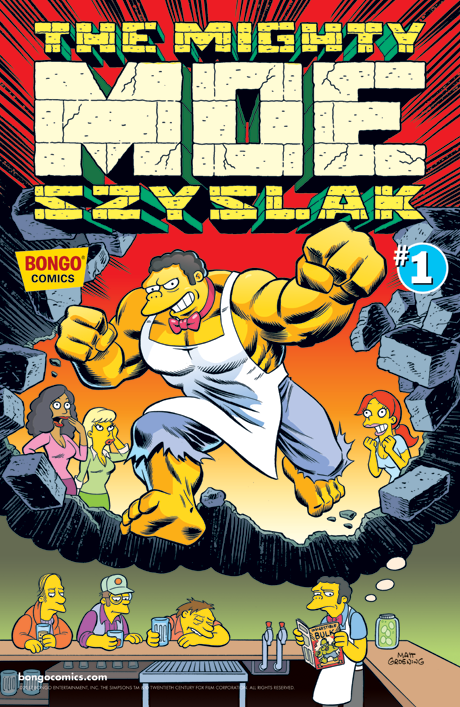 The Mighty Moe Szyslak #1 is available for purchase on the Simpsons Store app! Springfield’s belligerent bartender takes his best shot at a one-shot! First, Moe and Barney go on an excellent time-traveling adventure in search of love…and beer! Then, Moe goes in search of his long-lost, evil twin brother. And Moe waxes nostalgic over his lucky bar rag. All this and more.